Film still from "300: Rise of an Empire"
President Donald J. Trump's executive order banning the entry of citizens of seven countries with majority Muslim populations shocked many people in the United States and many more in Europe and elsewhere. It also elicited a wave of criticism from a variety of quarters-including business, academia, and human rights organizations-both in the United States and elsewhere. In the United States, most universities with large international student bodies and faculty understandably reacted negatively to the decision and began to devise means of limiting the impact of this decision on their students and faculty. Others pointed out how immigrants from the countries on the banned list have made significant scientific and financial contributions to the United States. For example, people were reminded that Steve Jobs the founder of Apple, was of Syrian origin and the founder of E-bay is an Iranian-American. These are of course the more famous people. Many more serve the United States at universities, hospitals, science labs, and in many other walks of life. The overwhelming majority of those living in America who trace their ancestry to the banned countries make a positive contribution to American society. Further, many of the people subjected to the ban oppose the authoritarian governments in their countries of origin. Many have left because of opposition to the non-democratic ethos of those governments. Yet this ban or something similar to it was almost bound to happen. For at least three decades, Islam and Muslims have been designated by people who should know better as enemies of the Western world and of Western values. In a 1990 article in the Atlantic, Professor Bernard Lewis attributed what he styled as the roots of Muslim rage to the envy and resentment that Muslims supposed to feel towards the West because of its scientific and other successes and Muslim decline and backwardness. In one fell swoop he reduced a long, multifaceted, and complex relationship between the West and the Muslim World to simple envy. After the Soviet Union fell and the world faced an ideological and paradigmatic vacuum, Samuel Huntington offered to substitute the theory of a "clash of civilizations," which designated Islam as the West's most hostile "other." These arguments were advanced before al-Qaeda became a threat and long before the terrorist attacks in the United States on September 11, 2001. Indeed, in the early 1990s, several Western countries were willing to use groups such as the Taliban for political and strategic purposes. More recently in Syria, al-Qaeda affiliates like Jabhat al Nusra were characterized as moderate opposition. Understandably, 9/11 gave more credence to extreme views about the very nature of Islam. But the reaction was disproportionate. Indeed, after 9/11," Islamo-fascism" became a buzzword in popular discourse to characterize an entire religion and its adherents. Americans were told to prepare for a hundred-year war with this Islamo-fascism. Websites proliferated that painted an absolutely black image of Islam and Muslims that did not allow for any shades of gray. They warned that Europe was being Islamized, with America to follow. Some commentators deliberately tried to provoke Muslims and thus to elicit reactions that were bound to increase anti-Islam sentiments. By contrast, academics and others who tried to explain the complexities of the issues involved were characterized as naive at best and pernicious at worst. Iran was treated even worse than any of the other Muslim-majority countries. The West laid just about every problem it faced in the Middle East and southwest Asia at Iran's doorstep. Iran was not only portrayed as the most serious threat to its neighbors and the West but, according to Israel's prime minister, Benjamin Netanyahu, "the greatest threat to world peace." Even ancient, pre-Islamic Iran has not escaped unscathed. 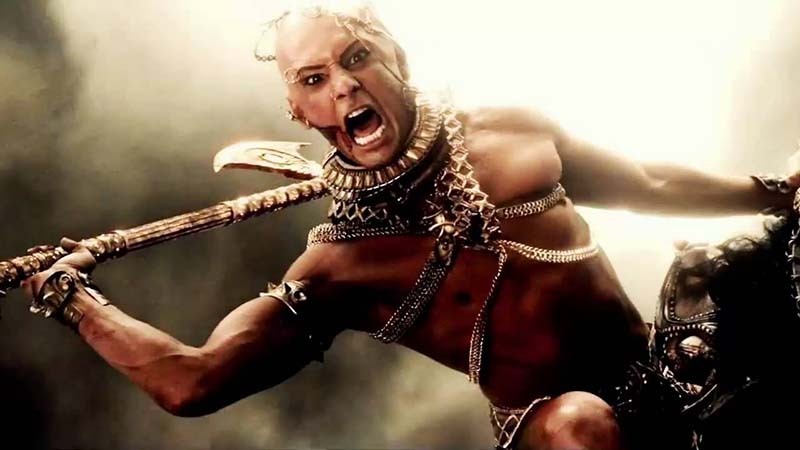 The film 300 portrayed the Persians as about as bad and uncivilized as it is possible to be. I've even heard it said that the Persians invented "evil"-not discovered it, not recognized, it but invented it. With all this popular and even academic demonization of Muslims (and their forebears, as in Persia) it should be no surprise that President Trump wants to protect America from these evil peoples. What we are seeing is the actualization of the Biblical saying: sow the wind, reap the whirlwind. Of course, the behavior of some Muslims in their own regions and in the West have contributed to the widespread vision of an Islamic enemy, especially the terrorist actions carried out by Muslim extremists against their own peoples and Western targets. Bombings in America, England, France, Germany, and elsewhere cannot be ignored or in any way justified. Muslims who have abused Western democracies and their democratic immunities to propagate extremism and hatred from the mosques where they preach bear a significant responsibility for the crimes that have followed. Those Iranians who for 40 years have been chanting "death to America" cannot expect to be welcome in the country that they call the Great Satan. The irony is that those are not the Iranians who are being punished. On the contrary, President Trump's executive order punishes the enlightened, moderate, and even pro-Western Iranians who either already live here or would like to come to America. Ideas, including religious ideas, are inextricably linked to power. Sadly, ideas are often placed at the service of power rather than the other way around. Both the "West" and "Islam" as abstract concepts delinked from their human representations have been abused and manipulated for base purposes. But America is not a root cause of Iran's problems, nor more broadly, of the rest of the Middle East, even though there have been major miscues of policy. By the same token, neither Islam in particular (nor Iran specifically - the current principle target of US hostilities) can be blamed for all of America's or Europe's problems in the Middle East or, in the case of extensive migration, problems at home. All parties must realize the complexities and multiplicities of causes that have led us to this time of confusion and conflict with its epicenter in the Middle East and some other parts of the Muslim world. No single enemy can explain all the problems of those involved, whether they are from the Muslim world or the West. The first step needs to be more mutual tolerance for differences, more dialogue, and, yes, more humility-rather than arrogance, scapegoating, and self-righteousness. 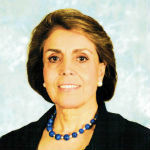 Shireen T. Hunter is a Research Professor at Georgetown University's School of Foreign Service. Her latest book is Iran Divided: Historic Roots of Iranian Debates on Identity, Culture, and Governance in the 21st Century (Rowman & Littlefield, 2014).